Stylish, rugged, and comfortable, the Pacsafe Intasafe 20L Backpack is built for safe carry in the city or at the airport. As a guy that loves the outdoors and travels occasionally for business, I own a lot of backpacks. In fact working in the outdoor industry, I’m continually surprised at just how many pack manufacturers there are. Thing is, the more I think about it, the more it makes sense. Just like a pair of shoes, everyone, and I mean everyone, needs a reliable backpack in their collection. Yet since there are a nauseating amount of brands on the market, who do you even trust? Do you go cheap and get the least expensive model you can find? Do you go expensive hoping to get a quality product you’ll carry for years to come? In the course of this article, I’ll answer these questions as we look at the Pacsafe Intasafe 20L Backpack. Pacsafe is a brand that in my opinion stands out in the overcrowded pack market, and they are well worth investigating as you shop for your next backpack or travel luggage. My first impressions of the Pacsafe Intasafe 20L Backpack revolved around general excitement. First of all this pack looks great. Its simple, sleek design is refreshing in the era of flashy backpacks stitched with neon lettering and gaudy logos. Let’s think about it a minute, do you want you pack full of expensive tech to stand out or blend in? Pacsafe obviously knows what they are doing with the Instasafe’s style. The Intasafe Backpack is also the perfect size for daily carry in my opinion. Its 20L capacity leaves plenty of room for your laptop and tablet alongside other essential gear. The medium front zipper compartment is also refreshing as it can hold a larger book, headphones or other device for easy access. Above all else this pack is rugged, and even in my extensive travel and daily use, it has hardly shown any wear. 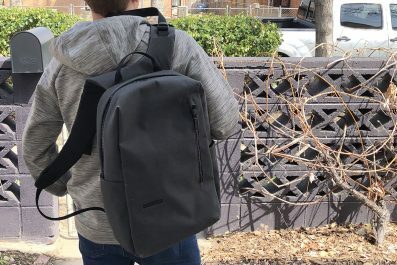 Even after covering all these basics, I still haven’t touched on the Pacsafe Intasafe 20L Backpack’s biggest strength, which is its anti-theft features. Let’s touch on these elements quickly before we go any further. A huge way to prevent bag theft at a coffee shop or restaurant is to secure it to your table or another fixed object. This ensures that even if someone tries to quickly swipe the bag, the thief will realize its going nowhere. Problem is backpacks rarely provide the option to release a strap and wrap it around the table leg, but not the Intasafe 20L Backpack. This is where Pacsafe’s TurnNLock Security Hook comes in, and I can guarantee you’ll have a hard time finding this feature in another backpack. You can unlock the TurnNLock mechanism, release the right pack strap, attach it to a fixed object, and lock the strap back up. If you spend any time in crowded areas, this anti-theft feature is a must-have. Another way thieves get at your valuables in a pack is a technique called slash and grab. Essentially they take a sharp knife, cut into your bag, grab what they can and run. Fortunately Pacsafe has developed a system to combat this strategy as well. 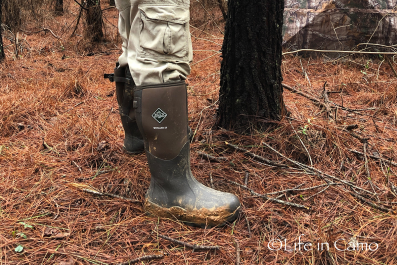 They’ve outfitted the entire pack with a wire mesh system known as the eXomesh Slashguard, and this strong barrier fits between the outside nylon material and inner liner so you’ll never know it’s there. What if thieves try to slash a grab the bag? Their knife will never make a large enough hole to grab anything. Pacsafe has also reinforced the pack straps so thieves can’t try a similar method on the straps themselves. My favorite feature in the Pacsafe Intasafe 20L Backpack is the Roobar Locking System. This proprietary Pacsafe feature is a real game changer, especially if you wear your pack in crowded areas. The Roobar consists of a strong steel hook that fits around the pack’s main zipper compartment. A locking mechanism then slides up and locks to secure the zippers in place. There are no keys to lose or combinations to remember, just a simple mechanism that takes time to release. This prevents pickpockets from quickly accessing or unzipping your pack. Better yet, many thieves aren’t familiar with this mechanism, and may be immediately foiled when they encounter it. RIFD scanner use is a scary reality that ID thieves use to exploit your chip credit cards. If thieves possess the right hardware, they can steal valuable information from your wallet without ever having to see or touch it. Pacsafe has built their packs to resist RIFD detection as well, and there is a RIFDsafe pocket in the Intasafe Pack that is perfect for storing credit cards and other RIFD-vulnerable materials. Note the whole pack isn’t RIFDsafe, but the resistant pocket is the best place to store sensitive materials like cards and your wallet anyway. Also no conversation about RIFD is complete without mentioning Pacsafe’s RIFDsafe line of wallets including the Pacsafe V125 Tri-fold Wallet and Pacsafe LX200 Clutch Wallet. Dimensions: 18.1 x 11.8 x 5.9 in. Anti-Theft Features: TurnNLock Security Hooks, eXomesh slashguard construction, Carrysafe slashguard strap, Roobar Deluxe locking mechanism, and secured zip tab. Identify Theft Protection: RFIDsafe blocking pockets and materials. Laptop Storage: Fits up to 15 in. laptops and 10 in. tablets at the same time. External Features: One medium front zip pocket and larger main zip compartment, and adjustable shoulder straps (24.9 in. to 36.3 in.). Internal Features: Internal pockets for smaller item storage, pen loop, water bottle pocket and key / wallet lanyard. As I mentioned above, I covered some serious miles with the Pacsafe Intasafe 20L Backpack, and I’ve been nothing but pleased with the performance. I traveled on a recent business trip with this pack and the Pacsafe Toursafe Carry-On recently reviewed, and the two fit together perfectly. First off, the Intasafe pack is extremely comfortable to wear. Pacsafe has taken care to develop a comfortable collar and wide, padded straps to make wearing this pack for long durations as pleasurable as possible. The straps can be adjusted in a clever way that keeps the weight load concentrated on your shoulders where it should be. Pacsafe Intasafe Backpack pictured with the Toursafe Roller Carry-on. I haven’t even covered the zippers yet, which are about as rugged and substantial as I’ve seen on a pack. This design ensures that no one can quickly puncture the zipper and grab your gear. The one downside I’ve found with the zipper is that it can get stuck on the corners of the thick nylon canvas at the top of the pack. This is probably the only negative I’ve found with the Intasafe Backpack, and it’s a minor one. The medium sized zip pocket at the front of the pack is another useful feature that can fit larger items for quick access. This allows you to keep more valuable items in the main pocket secured by the Roobar lock but keep more pressing items out in the front pocket for quick access. When it comes to laptop and tablet storage, there is a ton of room. I have a larger framed 15in. laptop and it fits nicely in the main compartment. I can even fit it in with my laptop sleeve over the device itself (although it does not fit in the internal pack sleeve). Aside from the internal tech sleeves, there’s enough room for a coat, water bottle and other items. Even when loaded up to the brim, this pack never feels bulky or cumbersome, another testament to its solid design. Let’s face it, the backpack market is saturated with tired, boring designs, but Pacsafe easily outshines them with the elegant design of the Intasafe 20L Backpack. This said, it is the wealth of anti-theft features that truly makes this a pack worth carrying every day. 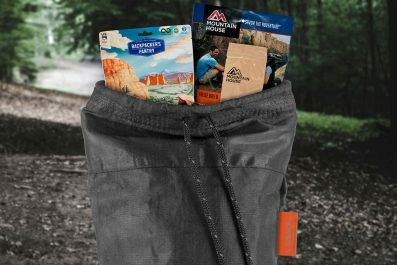 Pacsafe has produced a true performer in the urban pack market, and it’s certainly worth checking out if you travel regularly, especially in crowded areas. The $139.95 MSRP is a steal when you look at what lesser, inferior packs cost, and given the rugged construction, this is a pack that will look and function like new for years to come. The idea of going cheap on a lesser brand and missing out on Pacsafe anti-theft features alone is simply not worth it.